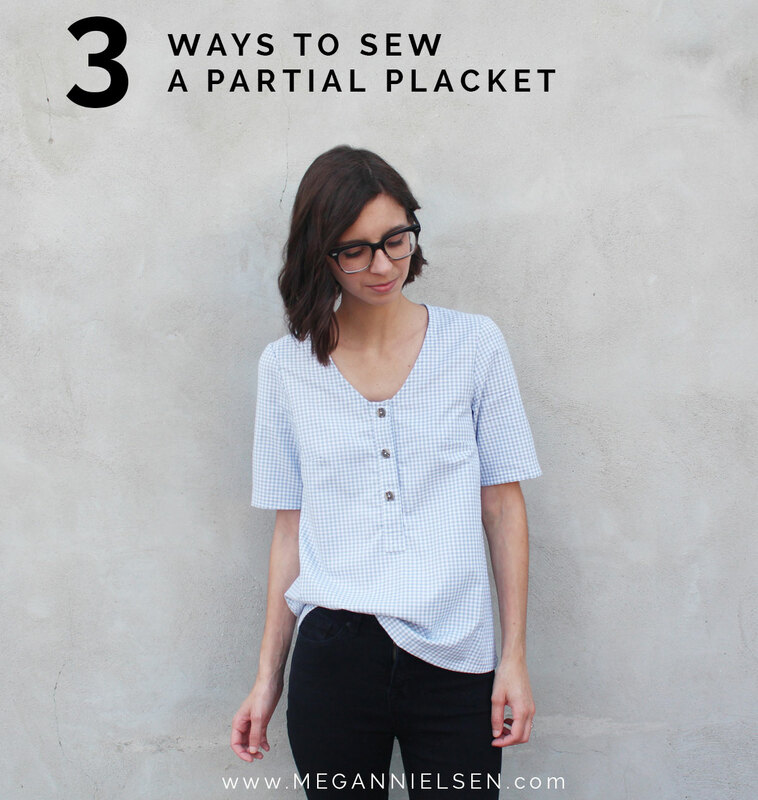 Three ways to sew a partial button placket! 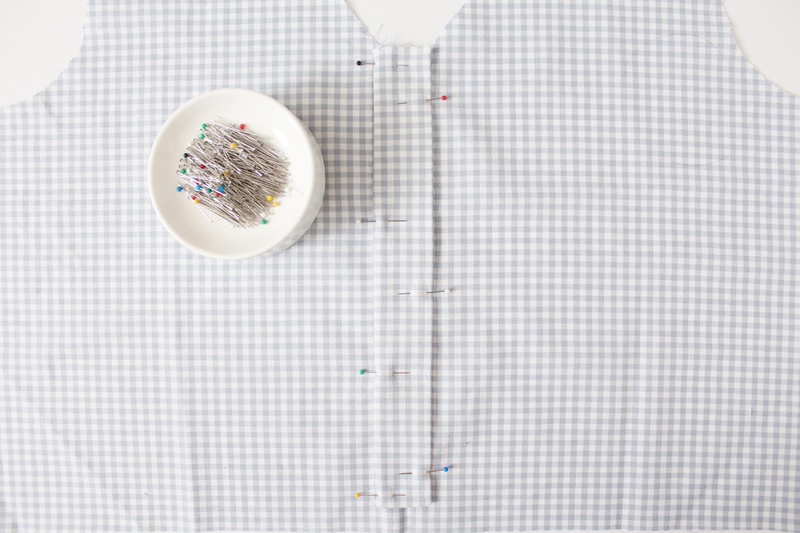 Sewing a partial button placket can seem really scary – I know, I get it. Any time you cut into the middle of a garment it feels so risky! That’s why we’ve created three different methods for sewing a partial placket to help you pick the one that is right for you. Each one has it’s pros and cons, and vary in skill level required and/or how much effort you feel like putting in. 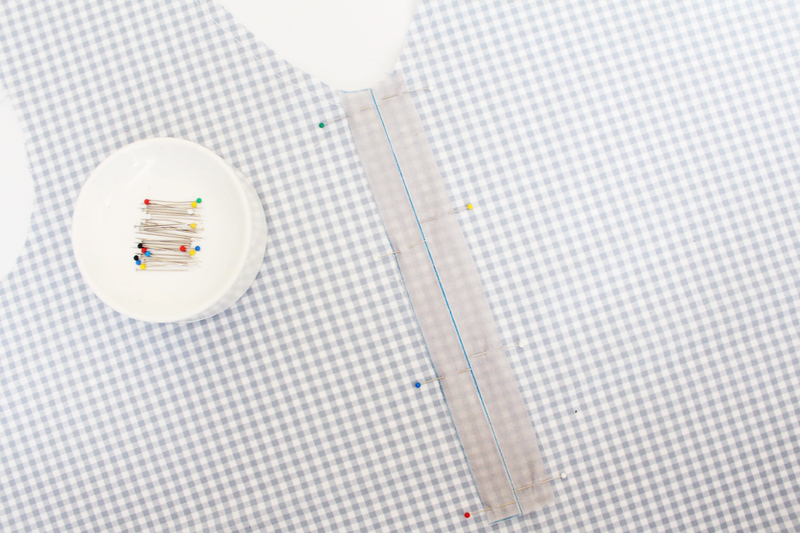 You’ll be sewing perfect plackets in no time! This is the stock standard placket insertion method we include in the Banksia blouse pattern instructions. I like this method because it results in completely enclosed raw edges and includes a lot of topstitching details, and you know how much i love topstitching! 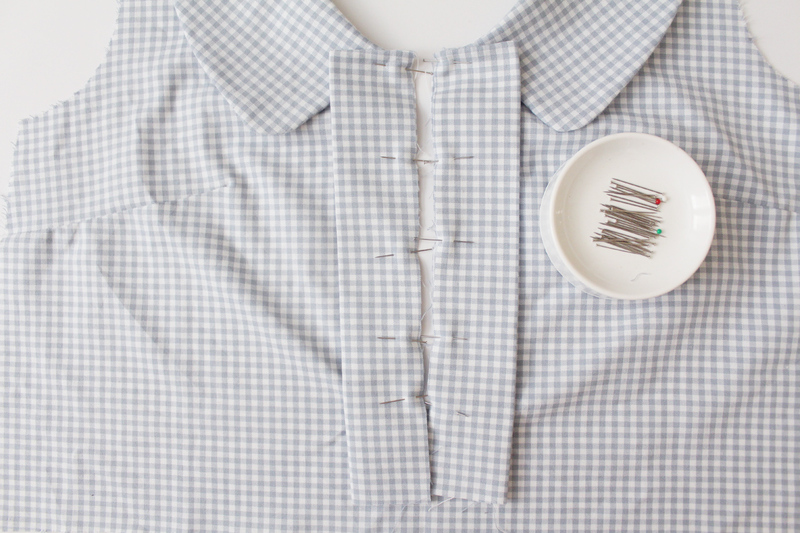 To learn how to do a standard placket insertion, check out this tutorial. I really love this method! It’s a little bit easier than the standard placket insertion method as it doesn’t enclose all the raw edges. It’s results in a slightly different look, which is great if you’re looking for something a little bit different! Try this method here. 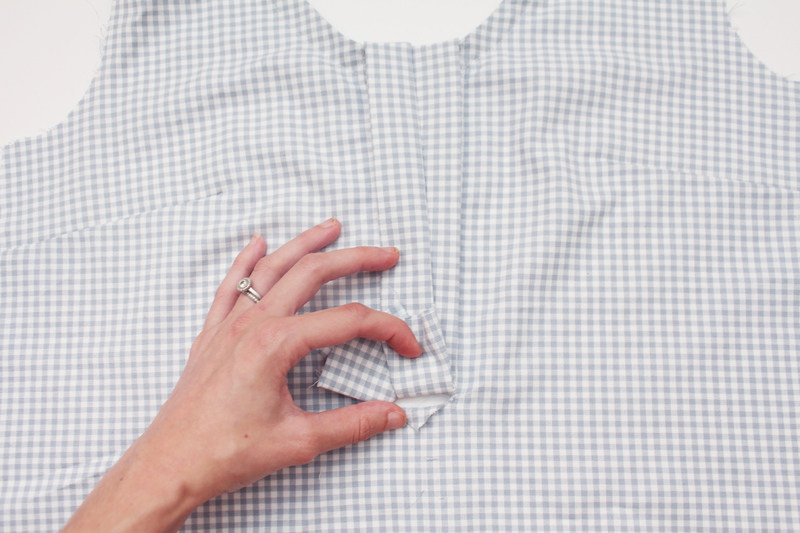 I actually super duper love this method, because it involves not sewing a placket at all! HA! This is fantastic for if you want the look of a placket with none of the effort or functionality. Lets be honest, a lot of us just want the look, and that is perfectly ok! If you want to try this method, check out our post here. But no matter what placket insertion method you end up using when you sew your own partial placket, don’t forget to do the prep work! Carefully planning and basting your placket placement on your garment will make your life so much easier when it comes time to sew. To see how we recommend doing this for the Banksia blouse, check out this post. 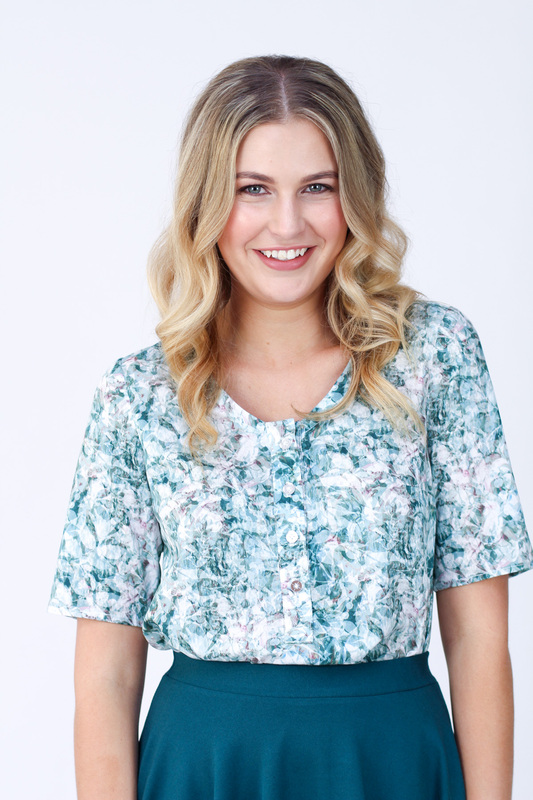 Introducing the new Banksia blouse sewing pattern! My friends I am thrilled to announce that I am re-releasing my much loved and out-of-print-for-a-very-long-time Banksia blouse sewing pattern! This pattern as originally released was one of my very first and as such was drafted using a different fit model and block than I currently use. As much as i love the original pattern I think it’s really important to maintain consistent fit and sizing across my range, and the pattern as it stood wasn’t consistent with the rest of my patterns. So I decided to redraft this design and in doing so was able to add in two new variations and update the instructions to be even better than before! Banksia is a loose fit woven blouse with optional placket and collar. The pattern features two sleeve lengths, shaping darts at the bust, partial button placket and peter pan collar. 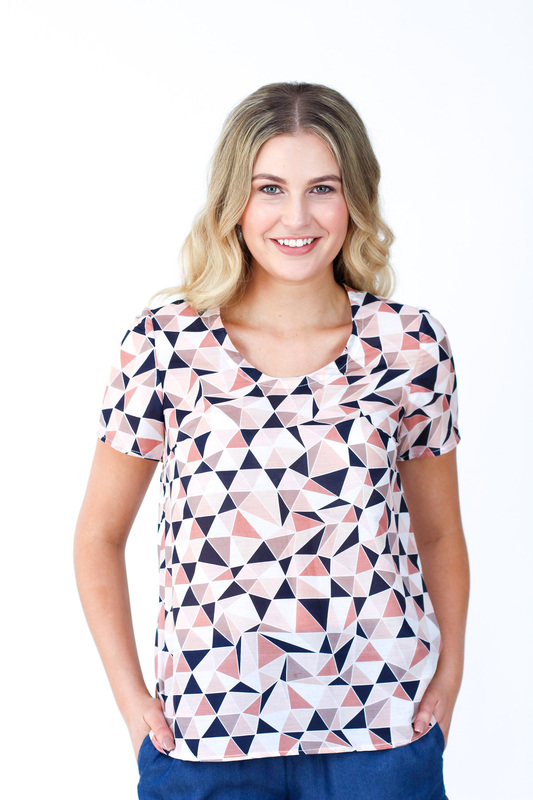 Version 1 is a woven tee style blouse with scoop neckline and short sleeves. Version 2 is a blouse with a button placket and above elbow sleeves. 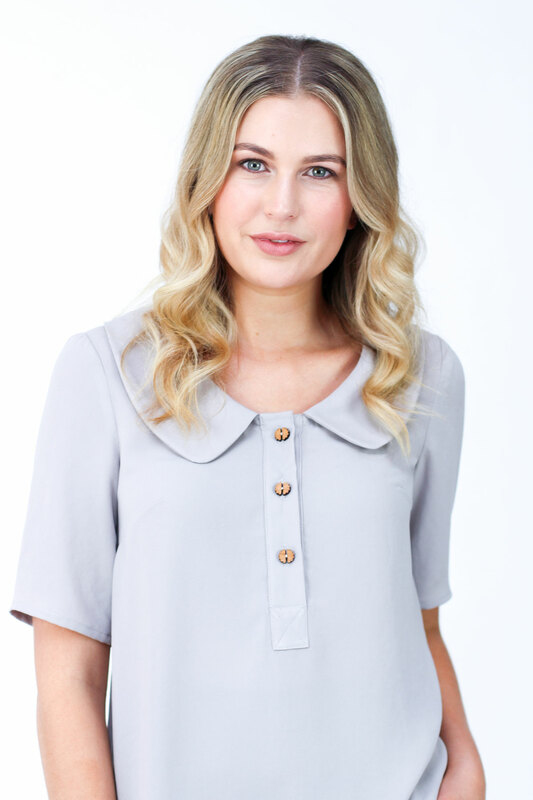 Version 3 is a blouse with peter pan collar and button placket. It’s a really versatile blouse pattern with so much opportunity to add your own ideas, and if you’ve been following my blog for a while you’ll know that I love my Banksia’s and wear them over and over. We’ve also updated our Banksia sewalong so if you need some help sewing your blouse, there are very detailed posts to guide you through every step of construction, and there are even tutorials for bonus variations! I’ll be sharing a roundup of all the pattern tester makes in a few days, so stay tuned because they are absolutely gorgeous and I can’t wait to share! I’m really thrilled with this updated pattern, and I really hope you love it as much as I do!I literally can’t wait to see what you do with this pattern! Don’t forget to tag your creations with #MNbanksia and @megannielsenpatterns when sharing on social media, and check out what everyone else is up to! If you have bought the pattern already, you can get it in store here, and if you have any questions at all, please let me know in the comments! PS // If you purchased the original Banksia pattern a few years ago, then you should have already received a complimentary copy of the updated PDF pattern by email. If you haven’t received that email yet, or if you purchased the original Banksia through one of our awesome retailers, please send us an email at hello@megannielsen.com and we’ll make sure you get a copy of the updated pattern. Oh buttonholes! It’s amazing how something so small can cause so much stress. When i first started sewing, it was on a vintage Elna Lotus that had a very basic buttonhole method outlined in the manual that I used for many years before I upgraded to a machine with an automatic function. So today I am going to show you how you can sew buttonholes on your machine without an automatic function, using only the zig zag stitch. Yes you can! This method is really handy if you have a sewing machine without a buttonhole function, or one that has a buttonhole function that results in really bad buttonholes (i’ve been there!). It’s also really handy to know how to do this incase you are in a situation where your automatic function can’t cope. My Bernina has an excellent automatic buttonhole function, but it simply can’t sew a good buttonhole using topstitch thread. Nope, not going to happen. Disaster. So times I have really wanted to sew buttonholes with topstitch thread i still use this method. The key to sewing a buttonhole using on a zig zag stitch is tweaking until you figure out what settings work on your machine to acheive the buttonhole you would like. This is not a first time wins method, you will need to tweak and try different settings till you get what you like. You guys, this is my favorite Banksia eveeeeeeer. Well, I’ve only made two versions myself so far, but I don’t think it could get any better than this. 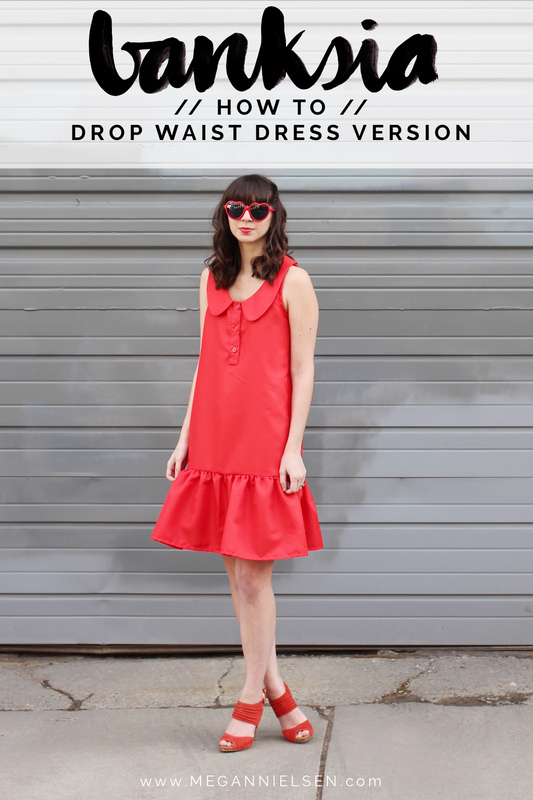 A drop waist Banksia dress. Sleeveless. In bright red. I didn’t want to take it off, it’s so fun. We’ve shown you how to extend the Banksia top into a dress before, but adding a gathered skirt really adds a fun element.